We had Solomon come out to take down a leaning redwood that was directly in front of my house and decided to have a smaller one done at the same time that was touching the roof. His crew were experienced and professional. The larger tree required climbing and sectioning which seemed harrowing to me, but he did it without so much as a bump to the house. the cost was reasonable and the result was worth it. Salomon and his crew do excellent work. They are punctual, affordable, and very safety conscious. 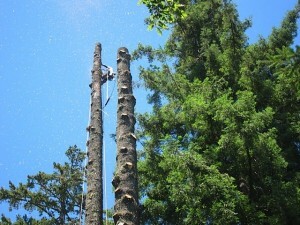 We have hired him many times over the years to do tree work that requires great skill and talent. He has successfully removed trees that were a danger to our home, our cars, power lines, and our property. He has also been instrumental in clearing fallen trees, many of which were absolutely enormous, from our roads after winter storms. We are always greatly satisfied with his level of professionalism. We had an excellent experience with Soloman Pineda and his crew. 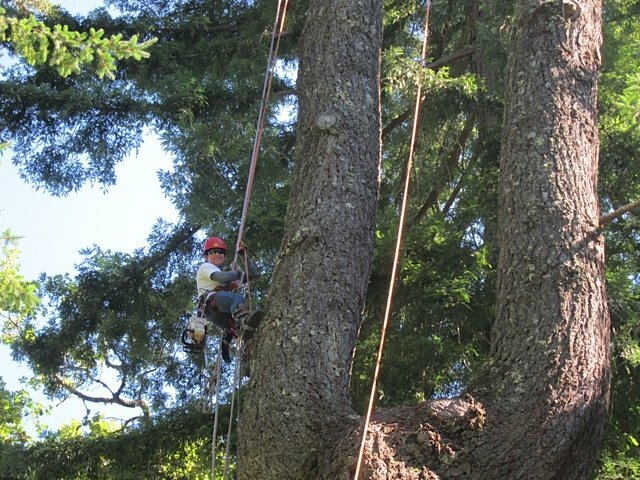 He gave us a detailed estimate for trimming redwoods on our property and helped us prioritize the work, given risks and costs. They did the work well, as scheduled, and cleaned up our property and roof, leaving it far cleaner than when they started! There happened to be a wind storm between the time of the estimate and the time of the work, which made it obvious there was another vulnerable tree with branches over our roof — he threw in trimming this tree for free. We would absolutely recommend Pineda for trimming/tree maintenance. We’ve used several tree companies over the years and Salomon has worked for us several times in the past as an employee of another company. Today we hired his company to take down a dozen very large pine trees that were becoming a threat to our house. He and his crew worked hard and skillfully, did an excellent job, cleaned up thoroughly, and finished in a single day — all for a very reasonable price. For someone in such a rough business, Salomon is an unusually gentle and gentlemanly person. I recommend him without reservation. Salomon and his crew pruned my garden today: trees, two *very* tall pittosporum hedges, and a really old rose that is taller than my 2-story house, and was threatening to take over my next door neighbor’s house! Then they chipped all the good cuttings for me to use as mulch, and took away the ones with the thorns, just as I had asked. They left the garden in good shape too. I am so glad someone referred me to them! My yard looks great! And so much more sun comes in the windows where it had been too dark. Thanks Salomen! I am beyond thrilled about the service Salomon Pineda provides. 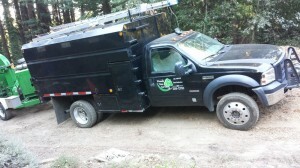 Salomon has been “our tree guy” for many years, long before he started advertising his services. He was always a word-of-mouth thing up here in Woodside, until his business started booming. 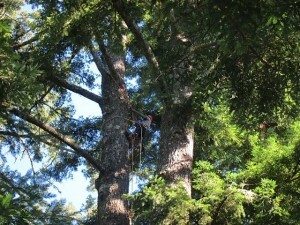 As I write, he’s taking down a precarious oak tree, looming above our house. It’s a really tricky operation and requires tactical thinking so he doesn’t put a hole in my roof. I’ve seen this guy tackle some monster trees and I recommend him, without reservation. It is quite rare that I give five stars. — When I accepted Salomon Pineda’s bid to take down three large trees (one of which had partially fallen on my house) I expected they would do a good job–they did–I expected they wouldn’t make too big a mess–they didn’t–. I didn’t expect that every one of his crews and he would go out of their way to deal with property related problems they hadn’t known about, but they did—from closing up a hole in the wall near the roof that a bat had decided made a nice home, to taking down almost twice the amount of a tree that they had originally thought was the job (Salomon had thought that all I had wanted was removal of the huge branch that had broken and was leaning on the porch), to heavily trimming an oak that Salomon thought was too close to the house and was a hazard (which I hadn’t even thought of when we first discussed the job), to meticulously cleaning up the site when they were done. and no claim for extras over the original proposal. He has a crew that knows what they are doing, cooperates well with each other, and does a clean and quick job they can be proud of—So, all things considered, five stars, and if six were available, they’d get one!